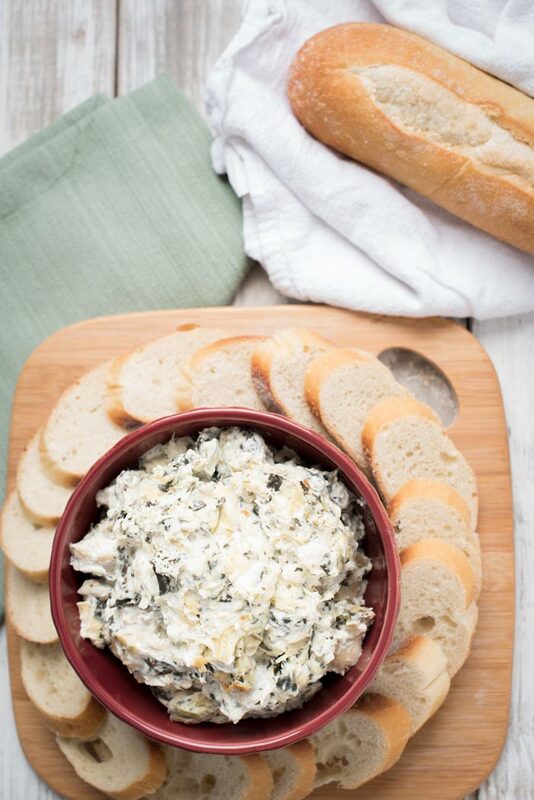 Today we’re serving up what we consider to be the best crock-pot spinach artichoke dip. Why is it the best spinach artichoke dip? 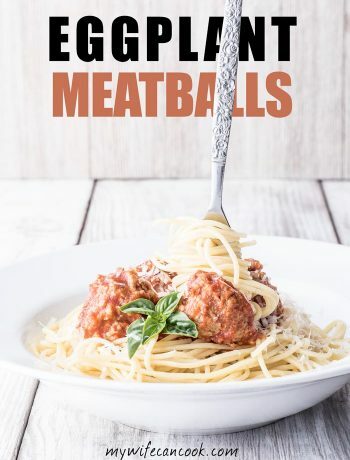 Two main reasons: It’s super easy to make and it’s delicious. To be fair, we haven’t tried all the recipes out there, but when you find a winner you tend to stick with it. Know what I mean? 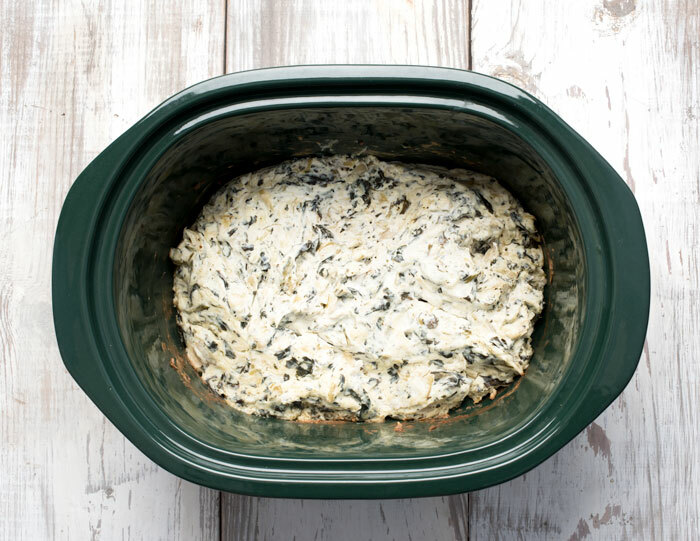 And while we do use our crock-pot for things like our chai-spiced cider and our chai apple butter, this easy spinach artichoke dip might very well be our favorite crockpot recipe. Want to find out why? Are you a spinach and artichoke fan? Yup, us too. I don’t know where the love affair began. Maybe it was trying the Applebee’s spinach artichoke dip years ago or maybe it started even before that. We can’t be sure, but we love the flavors. Panera has this Spinach Artichoke Souffle that we’ve always enjoyed and we are definitely going to these Easy Spinach Artichoke Quiche Cups from Gimme some oven. 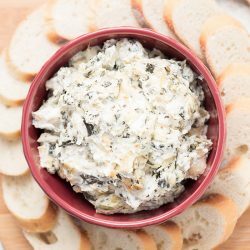 But, for sure, our love affair with spinach and artichokes has grown with this crock-pot spinach artichoke dip which has come through for us time and time again. We used to serve this spinach artichoke dip every year at an office party. Sometimes those office parties creep up on you during a week when you don’t have a lot of free time. 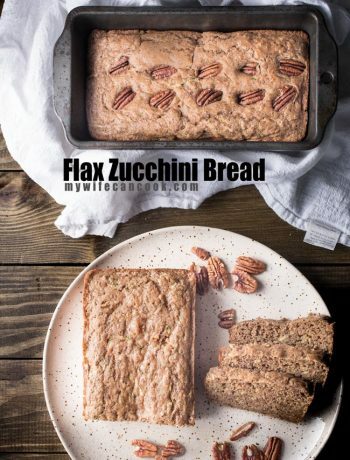 You need a recipe that’s going to be a crowd pleaser, that will serve a lot of people, but you also don’t have boat loads of time to get it done! It was during just such a week that our love affair with this crock-pot spinach artichoke dip began. It’s just so easy to make large batches…you just put it in the crock-pot in the morning and then, with just a few occasional stirs, it’s ready several hours later! Serve it up with bread and crackers and you’re good to go. Why Crock-Pot Spinach Artichoke Dip? It’s a recipe that is best served warm and lends itself perfectly to serving right within the crockpot. Why dirty extra serving dishes? If you’re entertaining a very large crowd, just double the below easy crock-pot spinach artichoke recipe. What’s the worst thing that could happen? You’ll have extra spinach artichoke dip to consume the next day? I think you can live with that. You’ll love it and we bet that soon you’ll be touting it as the best spinach artichoke dip recipe around! A final secret insider tip…the first year we made it, we were sometimes disappointed that it turned out a little dry. After that, we started skipping the step where you had to drain the frozen spinach (so annoying and makes a huge mess) and started adding some of the liquid from the canned artichokes. Presto! This provides enough extra liquid during cooking to ensure that your spinach artichoke dip turns out perfect! The extra artichoke flavor from the canned artichokes becomes an added bonus. Add mixture to greased crockpot. Cook on low for 2 hours, then stir. Cook for an additional 1-2 hours, stirring every 30-45 minutes. Turn off heat (or to "warm" setting if you have it) and serve with bread or crackers. 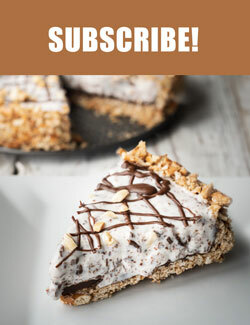 Click the book below to grab a FREE copy of our latest dessert recipe book! I absolutely love artichokes, spinach and cream cheese. We really like it! I hope you enjoy! Spinach and artichoke is our favourite for sure. 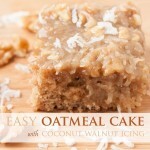 Love the fact you can make this in the crockpot. Perfect for entertaining. Yes, it really helps to make it in the crockpot! 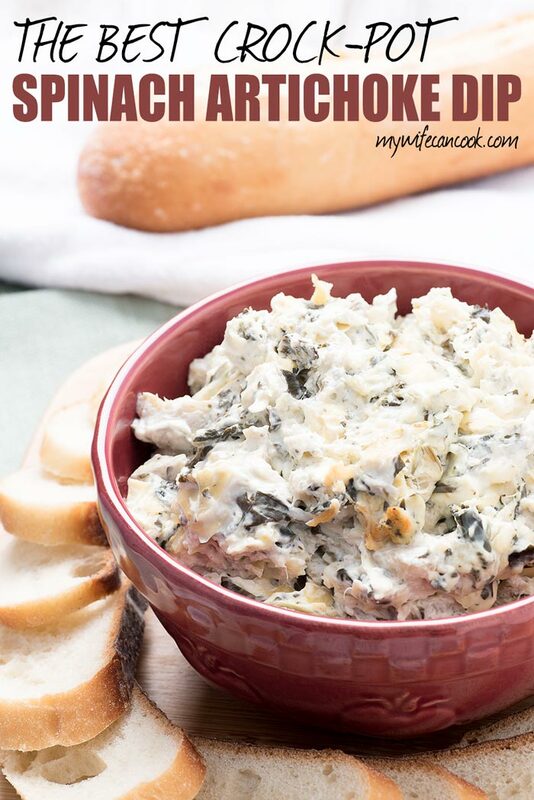 I love making Spinach Artichoke Dip in the crock pot! A slow cooker sure makes life easier, especially during the holidays. I think I originally decided to do it because it was an afternoon work party and had no oven, but really wanted spinach dip! 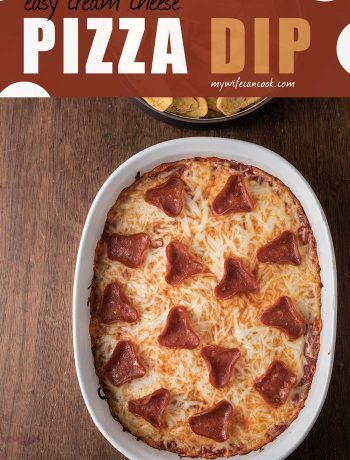 What if I wanted to make it in the oven? I only need to make half of the recipe, so slow cooker would be too big for it. Is it 350f for about 30 min? Yes, I think that would work if you are doing half. Basically, until it starts to brown and get bubbly. I might skip the extra artichoke juice if you like it thicker.